The Dennis Oland murder retrial resumes today with continued testimony from Sgt. Mark Smith, head of forensic identification section. Dennis #Oland retrial is late getting started. Crown and defence are discussing scheduling plans for Monday in light of the storm expected to hit Sunday and extend into Monday. Dennis Oland murder trial day #20 . Continuing in the witness box is SJ police forensic specialist Sgt. Mark Smith under cross examination by defence lawyer Michael Lacy. Lawyers are conferencing at the moment and the start of the trial is delayed. Details about the pending storm here: CBC.ca/1.4981567 . Court of Queen's Bench Terrence Morrison is seated. Oland retrial is in session. Toronto-based defence lawyer Alan Gold proposes court not sit on Monday, due to storm Fredericton-based judge agrees. Lawyers return. There’s much concern about weather bomb approaching for Sunday/Monday with talk of cancelling Monday hearing and possibly entire week of trial if Lacy and Gold cannot get to SJ by Monday night from Toronto. All weather dependent. Tuesday will be weather-dependent, says Morrison. "We’ll just have to see. Mother Nature is what it is." If court doesn't sit Tuesday, the whole week might be cancelled. 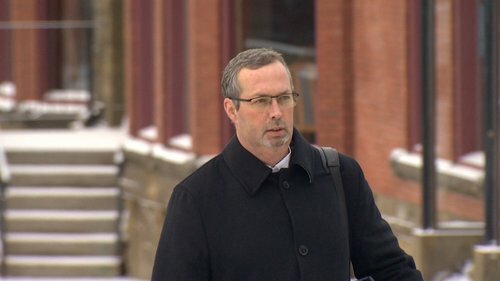 Gold and fellow Toronto-based defence lawyer Michael Lacy both have a Supreme Court of Canada appearance in Ottawa on Friday and have to leave Saint John Thursday afternoon. Alan Gold also appears to back away from his headline grabbing announcement that defence lawyers would be arguing SJ police suffered from a diagnosable psychological condition related to extreme tunnel vision in its conduct of the investigation. Gold gives no reason for backtracking on what he previously called a “novel” defence but when Justice Morrison suggests filing briefs on it for consideration during storm week Gold simply says they have dropped the idea - raised just last week. Sgt. 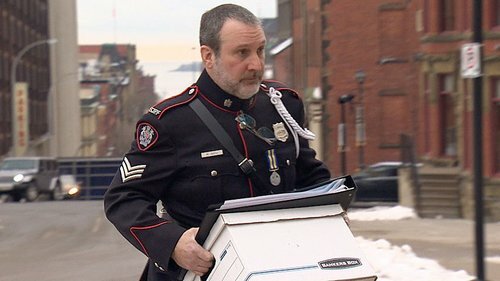 Mark Smith, head of the Saint John Police Force's forensic identification unit, is back on the stand for continued cross-examination by defence lawyer Michael Lacy. Lacy questioning Sgt. Mark Smith about his investigation of Dennis Oland’s vehicle seized a week after the discovery of Richard Oland’s body. 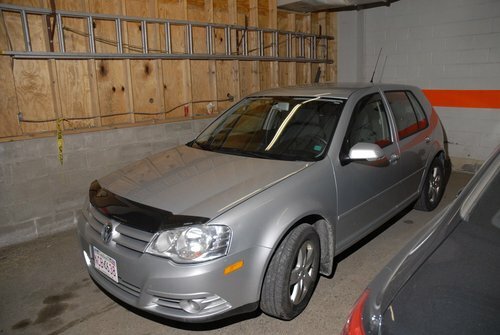 This was an extensive /meticulous search of this vehicle? Yes. 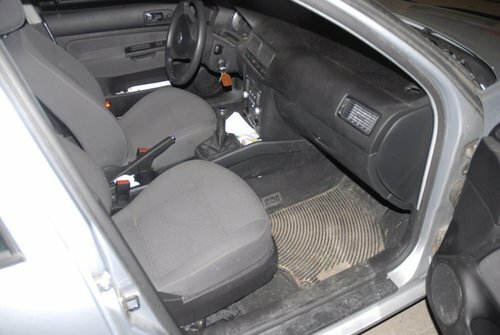 Court heard yesterday Smith spent about 14 hours inspecting and testing the car over a few days. Lacy asks if he even took out the seats. Lifted them, says Smith. Meticulous search? asks Lacy. Yes, agrees Smith. Well-documented with about 69 photos? Yes. You understood, as a result of reviewing the search warrant, officers wanted you to look for evidence that could link that vehicle to the crime, correct? asks Lacy. Correct, replies Smith. And in turn, link Dennis Oland to the crime, correct? Correct. There’s plenty of video showing Dennis Oland driving the car around and around the block of his father’s office the day of the murder during his three visits - including the third and final visit he neglected to tell police about during hours of interviews the next day. And unlike when you were examining the crime scene, you didn’t have people coming in and getting into the car, interfering with processing the car did you? asks Lacy. No, says Smith. 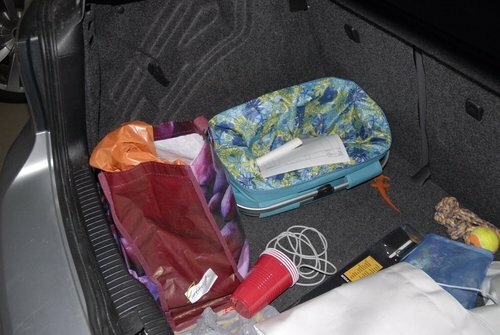 “You spent more time searching the car than you did searching the crime scene if you totalled all the hours. Is that fair,” asks Lacy. 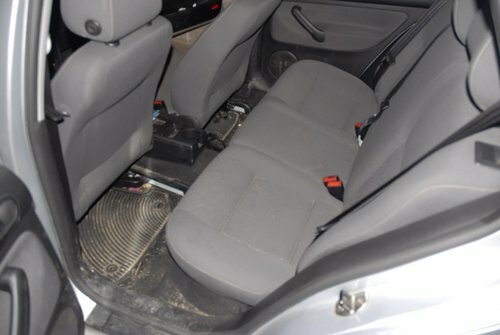 Floor mats were dirty, car didn't appear to have been recently cleaned? asks Lacy. Correct, says Smith. Seats were fabric - greater chance of absorption? Yes. Can trap blood or DNA? Yes. Smith took 69 photos of the vehicle inside and out and Smith was so convinced some trace of the murder had to be there 4 of the first 13 pieces of evidence sent to the RCMP for laboratory analysis were swabs taken from the car’s interior. None were of significance. The absence of evidence in the car coupled with police being convinced the killer had to have been sprayed with blood at the murder makes the car an important element in Oland’s defence. Lacy sounds like he’s content to spend much of the day asking about what Smith didn’t find. Lacy is about to move onto another area of questioning. Suggests this would be a good time for court to take its morning break. 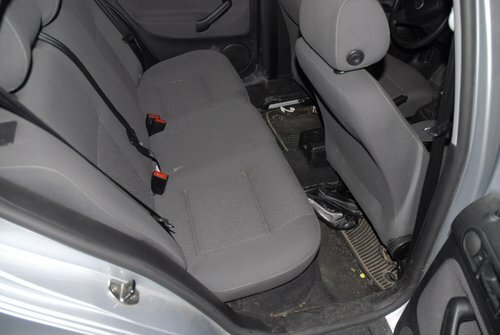 No blood on the seats, steering wheel, foot pedals, stick shift, door handles, head rests, floor mats. Nothing anywhere. 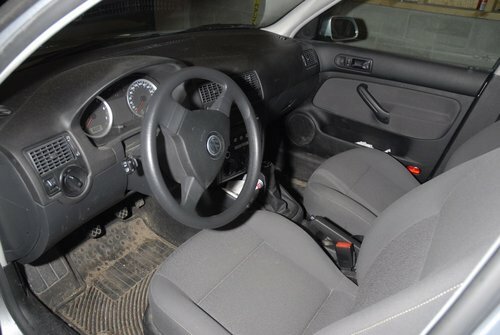 The condition of the car suggests Oland is either innocent or took effective steps to protect himself and his clothes from blood spray during the murder. 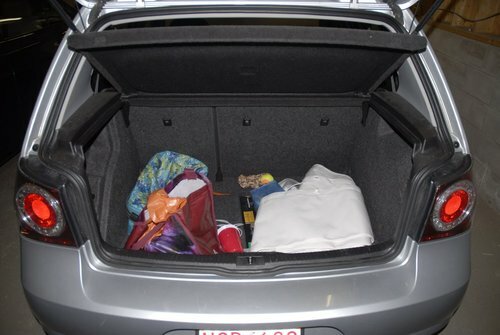 Defence lawyer Michael Lacy is asking Smith about the red fabric grocery bag found in the trunk of Dennis Oland's car. 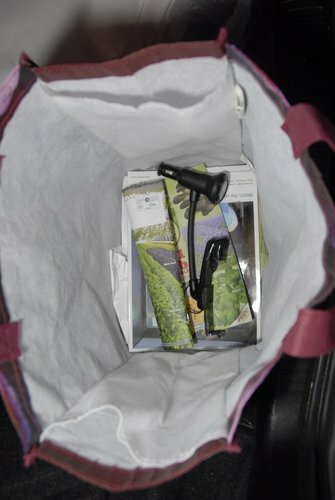 Displays photo Smith took of its contents, which included geneaology-related documents.